Une fluorescence de technologies de saisie des contours à différentes échelles, dont synchrotron, nanotomographie, microtomographie, tomographie par ordinateur, balayage laser et photogrammétrie, a donné lieu à la prolifération des données numériques en bioarchéologie. 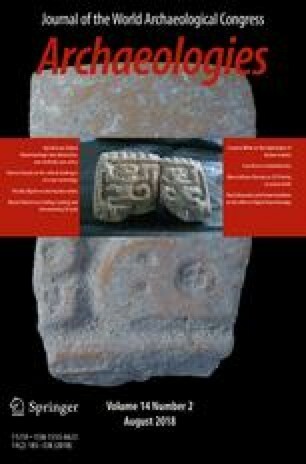 Reste à savoir comment ces nouveaux ensembles de données tridimensionnelles peuvent, conjointement aux données bioarchéologiques traditionnelles, être disséminés, et quelles préoccupations morales seront soulevées par l’arrivée d’un sujet sensible dans la sphère de « l’accès ouvert ». Une étude des ressources et politiques actuelles suggère qu’il est nécessaire d’établir des normes de pratique exemplaire. Cet article présente un échantillon de ressources actuelles, ainsi que des modes d’accès et stratégies de dissémination permettant de dresser un tableau de l’usage en ligne des données bioarchéologiques numériques. Una fluorescencia de las tecnologías de captura de formas en muchas escalas diferentes, incluyendo sincrotrón, tomografía computarizada (TC), Micro/Nano TC, escaneo con láser y fotogrametría, han llevado a una proliferación de datos digitales en bioarqueología. Aún no se ha esclarecido la interrogante sobre cómo se pueden diseminar estos nuevos conjuntos de datos en 3D, junto con los datos bioarqueológicos tradicionales, y qué preocupaciones éticas surgen al tratar de traer un tema delicado a la era del “Acceso abierto”. Una encuesta de recursos y políticas actuales sugiere la necesidad de establecer normas de mejores prácticas. Este documento describe una muestra de los recursos actuales, junto con los modos de acceso y las estrategias de diseminación, para desarrollar una imagen del uso de datos digitales bioarqueológicos (DBD, por sus siglas en inglés) en línea. The creation of new means of accessing and disseminating data occasions a need for a serious re-examination of the accepted models of communication and appropriate ethical guidelines. This paper looks at the specific case of human remains as three-dimensional digital objects: looking at how—and why—digital data sets representing human remains are created, stored, and shared online. This paper examines existing standards for the publication and sharing of digital data resources, their targeted audiences and purposes, and how these fit together to form a new corpus of information encapsulated in the term ‘Digital Bioarchaeological Data’, or DBD. What is Digital Bioarchaeological Data? Digital Bioarchaeological Data can be defined as any data that represent human remains in a digital format. This is a necessarily broad definition, but it can be narrowed into two categories. The first is ‘flatsheet’ style data; text-based information stored digitally as a list or spreadsheet. The second is a category consisting of digital images of human remains, in either two or three dimensions. It is this last category that has seen a massive expansion in availability over the last two decades with the growth of digital storage methods and increasing ease of transmission of large amounts of data. While both the flatsheet and photographic type of DBD can be considered to predate the proliferation of digital technologies, three-dimensional models of human remains have come of age in a fully digital world. Similarly, while the methods for creating text and 2D images are well established, the creation of 3D representations of human remains requires computational power orders of magnitude higher. I will briefly outline the main ways in which 3D models DBD are created and stored. Firstly, it should be noted that ‘3D models’ are not the same as shape information. Shape information, as a series of coordinate points (ie. x, y, z), can be conveyed in a simple text file. A 3D model is an object that represents shape, and there are three ways shape is usually assessed: through digitisation of landmarks, through surface scanning, or through volumetric imaging. Landmark capture has traditionally been carried out with technology like the ‘Microscribe’, which allows a user to take coordinates directly from the surface of an object using a special tool to calculate them in a relative volume (see discussion in Friess 2012), and results in a series of coordinates that can be represented either as text or graphically as points in a volume of space. Three-dimensional models, however, are generally only represented graphically to purvey additional data (eg. colour, or density) attached to a far greater number of landmarks than are practically collectible with a digitiser. Surface scanning has traditionally relied on reflected light captured by a sensor; laser scanning has been rapidly taken up from its early usage in standing buildings and artefact capture in archaeology for use with human remains (Niven and Richards 2017). Several options exist for laser scanning (see, for instance, discussion in Errickson 2017; Friess 2012); these might be hand held as in the popular Artec Spider (Artec3D, Luxembourg), or as a base station capturing data from a moving turntable like the even more popular Next Engine (NextEngine, USA). A number of imaging companies also provide high end or even bespoke surface scanning machines; the Alicona InfiniteFocus (Alicona, Austria) would be an example of this. An overview of methods is given in the Guide to Good Practice established by the Archaeological Data Service and Digital Antiquity (Payne 2009). Photogrammetry is a relatively new addition to the suite of surface scanning techniques, but is increasingly popular due to low equipment costs and ease of use, with the program PhotoScan Pro just one of the many surface-from-motion techniques (Green et al. 2014) that have only become viable as the availability of computational power for the average user has increased. Because it can capture millions of landmark points and photo-real surfaces, surface scanning creates very large digital outputs. There are no universally agreed standards for archiving the 3D models built from the various methods, so data are created and stored in a variety of formats (McHenry and Bajcsy 2008) from proprietary software formats dictated by commercial imaging companies to the range of more open formats shared with the larger world of 3D graphics such as .obj, .dae, .vrml, .stl, and .ply. This is not to say the subject of standards for archiving is not increasingly important to the discipline (Trognitz et al. 2016); an overview of this is given by Niven and Richards (2017) in relation to human remains, while Davies et al. (2017) cover the much broader picture within the life sciences. Volumetric imaging in bioarchaeology consists almost entirely of computed tomography, better known as CT scanning, and encompassing a variety of resolutions and machines (Uldin 2017); techniques used for imaging volume in living tissue like magnetic resonance imaging (MRI) have limited applications for human remains (Giovannetti et al. 2016) and are not part of the 3D models discussed here. Computed tomography, on the other hand, uses interpolated X-ray images to represent object density in 3D, a technique that can easily be used to identify and image hard materials like bone and teeth. With CT imaging, the relative density of object surfaces and internal spaces can be separated using either automated or manual editing techniques to build a 3D model, offering a wide variety of applications for bioarchaeology, palaeoanthropology, and related disciplines (Scherf 2013; Uldin 2017). The models created through volumetric imaging are also created and stored in a variety of formats, but though the most common method of storage of the CT images themselves has been a universally exchangeable medical standard, or as a ‘stack’ of 2D images with accompanying metadata allowing reconstruction into a 3D volume. 3D models from CT scanning tend to be produced in idiosyncratic formats associated with whichever particular program has been used to view, edit, or render models from the volumetric image stack; these range from the many different software viewers sold with the CT scanners themselves to popular proprietary software like Avizo, through to open or free software like 3DSlicer and ImageJ. 3D objects generated from rendering a surface from the volumetric data can also be disseminated through as surface models in the same formats as those for surface scans. What Purpose do Online Collections of Digital Bioarchaeological Data Serve? Digital Bioarchaeological Data sets are created, collected, and curated for a variety of reasons, but the 3D models of human remains discussed here broadly can be seen as existing to serve as an archive, to support collections management activities, and to engage public interest, or as the basis for academic research, and these categories are not mutually excusive. There is a strong push within museums and archives globally to move towards collections digitization (see discussion in Bailey-Ross et al. 2017; Bertacchini and Morando 2013). Digitising human remains has been proposed as potentially having many benefits stretching from collection preservation to education and outreach (Kuzminsky and Gardiner 2012; Niven and Richards 2017). Digitising human remains creates a resource that can be shared widely, without necessitating physical interaction with the specimen. From a collections management standpoint, this protects fragile remains from over-handling and potential damage. One of the main concerns in curating bioarchaeological collections comes from the potential damage done to collections by repeatedly utilising the same limited number of fragile samples for teaching, reference, and research. From a research standpoint, it allows data to be collected without the additional steps of travelling and physically acquiring it, and data once collected may be shared among many researchers. Additionally, many collections have an added impetus to digitise collections in order to addresses issues of increasing accessibility, outreach, and engagement capacity. A survey of anthropological and archaeological data sets available and accessible to varying extents through online repositories was carried out in 2017–2018. The online resources surveyed here encompass any online digital storage of multiple DBD objects. The parameters of the survey were not exhaustive, but a wide number of search terms were used in varying combinations. Search terms included: Homo species names and the words given in Table 1 in several combinations, using both UK and US spellings. The Paleoanth Portal provides an index of relevant sites and was also consulted. The author’s own knowledge of digital collections, derived from my own experience in the field and that of colleagues, was the source of the majority of resources identified; it covers English language resources. It simply is not possible to identify all online resources containing DBD for the simple reason many DBD collections are not always intended to be visible to the general public. In addition, language-specific searching and consultation of specific academic networks may have narrowed this projects focus. While the sources discussed here may not be an exhaustive list, given the range of anthropologists and archaeologists surveyed they do likely form a significant portion of the total body of online sources for 3D models of anatomically modern human remains. DBD collections can be broken down in terms of purpose by identifying the academic discipline they fall under, which helps to illuminate the purpose for which they were created. Online collections are categorised as belonging to palaeoanthropology, archaeology (including bioarchaeology and forensic archaeology), or the realm of cultural heritage (which includes museums and other public interest uses) in order to clarify if different audiences have individual patterns of creating, curating, and disseminating DBD. This paper further categorises the purpose of DBD collections as being archival repositories, museum collections, or research collections. Curation covers aspects of storage including the formatting of data. Archival repositories are deposited as a record and may continually add new data. Museum collections may serve as either educational references or opportunities for public engagement by digitally representing physical museum collections. Research collections in this paper are the project-specific data sets that arise from specific research initiatives, rather than being entirely open-ended. This paper examines curation practices such as storage and publication platform across these different curatorial segments. The intended use community of each source for DBD resources is perhaps the most critical for understanding the various component parts of accessing and sharing online collections. The intended use community can be understood as the users of the DBD; it could be the general public, registered or authorised users, or a small group of colleagues. The use community will of course determine how the resource is accessed, and we can examine how this varies across the different types of DBD collections. Qualification of the different aspects of DBD creation, curation, and dissemination across the sample of online DBD resources is given in Table 2. While the qualification of each of the projects listed can only be the author’s interpretation of material available on related websites and publications, the varying approaches of each resource to curation, storage, and dissemination of DBD are for the most part described using information found on the sites themselves. Another pre-existing commercial publication platform not specifically intended for models of human remains is SketchFab,4 a very popular online resource for all types of 3D models, from gaming architecture to artistic creations. The platform offers the option to allow or disallow downloads of models, preferably in.stl format or the.fbx format used in animation and gaming, by the general public without the intermediary of a registered-user option. The option of adding registered users, and password-protected viewing, can be paid for as part of a premium service, as can the hosting of large or high-quality models. Despite not being specifically geared towards academic or research use, several heritage sector institutions utilise the platform to publish scans of DBD, including the British Museum, the Maritime Archaeological Trust, and potentially many others that are not easily searchable using the terms set out here. The British Museum has provided a DBD as a single case among the many important cultural artefacts recently scanned and provided for public interest,5 while the Maritime Archaeological Trust6 has interestingly provided several 3D models of palaeoanthropological specimens from the Oxford Museum of Natural History, despite there not being a clear connection between the institutions. Other examples include publications of models like that of a skull from the battle of Culloden by NTS Archaeology,7 in situ scans of archaeological excavations such as the multiple burials from Çatalhöyük published by S. Haddow.8 The most comprehensive list of human remains DBD available on SketchFab is maintained by P. Ulguim9 and includes a wide variety model potentially of interest to forensic, archaeological, bioarchaeological, and palaeoanthropological audiences as well as an interested public. The Neanderthal Studies Professional Online Studies (NESPOS) online resource is a research community accessible through paid membership, which holds a comparative selection of anatomically modern humans, primate, and hominin fossil CT scan.13 It is closely linked with the European Virtual Anthropology Network (EVAN) online resource; this platform also offers paid membership access to a virtual space for the curation and dissemination of 3D DBD among registered users.14 Another related project is the DBD available through the Virtual Anthropology Project, which is a joint effort by the University of Vienna, the Vienna Micro-CT Lab, the Digital@rchive of Fossil Hominoids and EVAN.15 While there are links to one free 3D model, the rest of the DBD is available on a paid basis. The Archaeology Data Service is a UK-based Open Archival Information System specifically serving the needs of archaeological data, acting as a repository for published and unpublished (‘grey literature’) reports, documentation, and other digital information.16 While as of 2018 they do not hold any 3D DBD, they do curate images and other digital information and will in future accept 3D models of human remains in a variety of formats (pers. comm.). The Digital Archaeological Record (tDAR) is a similar resource based in the USA, but is not included in Table 2 as it holds no DBD. There appear to be two personal archives by academics that have generated large amounts of 3D DBD; there may be more but none were found under the search parameters outlined above. One archive is hosted by Wellesley College, but the page has been orphaned from any information about the collection; it allows view access to several 3D models of important hominin fossils.17 Dr Lynn Copes has scanned and previously made available 705 anatomically modern human skulls (Copes 2012) as well as 400+ primate skulls; however, the links to these data are now expired and the human DBD is no longer accessible as far as this author can determine.18 Broken or expired links are a common issue encountered in identifying online resources for DBD; resources that could not be investigated because of missing or deleted pages include the Revealing Human Origins Initiative (RHOI) Specimen Database and Institute of Vertebrate Paleontology and Paleoanthropology site/specimen database, as well as the Digital@rchive resource mentioned above in connection with the Virtual Anthropology site. Many Digital Bioarchaeological Data sets examined here were initially largely created for the express purpose of answering a specific research agenda. This is certainly true of the vast majority of online resources available prior to about 2010. However, as interest n 3D or ‘virtual’ objects has risen along with the availability of computing power and the technologies to easily capture and create 3D models, models of human remains have joined the ranks of other digital collections; curators have increasingly been moved to digitise human remains either to preserve them and provide an educational or research resource, or alternately to engage public interest in collections (see discussions in Parry 2010). Using the results of Table 1, above, variation in creation, curation, and dissemination of DBD is examined below. Palaeanthropology was one of the first disciplines to extend the use of 3D imaging technologies beyond medical practice, creating a sub-discipline of ‘virtual anthropology’. In the 1980s, the new technology of CT imaging was quickly applied to palaeoanthropological specimens (Uldin 2017), creating 3D models from overlying CT scan ‘slices’. The unique nature of the fossil remains that are the main concern of palaeoanthropology gave a particular impetus to non-destructive imaging techniques that would allow internal morphology to be compared. This led to an early adoption of the very expensive technique of CT scanning, as evident from the collections here, some of which are in archaic formats and reflect the cost of collecting the DBD. The Virtual Anthropology Project offers paid access to hominid scans on CD-ROM disks, for instance, which modern computers are no longer normally equipped to read. Archaeology, centring on anatomically modern human remains, has not necessarily had the impetus to apply every new or expensive technique to bones under study in the same way that palaeoanthropology has. In some countries, bioarchaeological research is either developer-led or relatively underfunded compared to palaeoanthropology, with both situations leading to decreased resources for the development and deployment of new 3D model technology. However, generally, archaeology as a discipline does not fall too far behind in adopting new imaging techniques, and CT scanning is increasingly accessible either as one-off special cases of interest (for instance, for the British Museum ‘Ancient Lives’ Exhibition) or for larger projects requiring comparative samples. In many cases, archaeology has led the way with the less expensive surface scanning techniques, which are prominent in both excavation and object analysis. Despite the number of institutions and collections focusing on archaeology, very few actual DBD objects are available in this area: by far, the largest collection would be the 700 skulls scanned by Dr L. Copes, but the resource has now expired and the data are no longer available. A final consideration is the use of DBD in cultural heritage contexts such as museums as part of public engagement strategies. In this case, data are created with the express purpose of displaying collections, rather than providing a data set for use in research or as a matter of record. The use of human remains in cultural heritage contexts is very much in its infancy, given the highly varied responses of members of the public to the reproduction and display of human remains. While human remains are popular displays in museums and occasion great interest, there are larger debates about the ethics of displaying human remains (see discussion in Jenkins 2011) that make the use of DBD in cultural heritage a very complex issue. However, there are tentative signs that DBD is slowly being adopted into cultural heritage practice: the British Museum and Rising Star projects both explicitly make engagement and outreach a goal. There does not appear to be any particular established mode for the curation of DBD. Across all sectors (museums, research, archives), there are a variety of formats and approaches used. For volumetric data, the recurrence of ‘CT’ as a category is misleadingly standard; this actually reflects the medical imaging standard (DICOM) rather than specifying the way in which these data are offered (eg. it could be offered as a series of JPEG or TIFF images, or in the native format of the CT scanner). The.obj format used for surface scan 3D models appears to be the most popular, but the varying functionalities of the many bespoke publication platforms make it difficult to determine the storage format in all cases. It is notable that the dedicated archiving service, ADS, allows a wide variety of formats (proprietary and non-proprietary) to be submitted to the archive (Niven and Pierce-McManamon 2011; Trognitz et al. 2016). The variety of publication platforms, ranging from multipurpose sharing platforms like Morphosource19 or SketchFab to the orphaned viewer-only page available from Wellesley College, do not seem to follow a pattern established by the type of collection or by the intended audience. For instance, while the British Museum uses SketchFab, the Smithsonian has the Smithsonian Digitization 3D platform20; this does not actually include any human or hominin DBD though the museum offers a plug-in viewer on its own website on which models of hominin and primate fossils are accessible. Some of these platforms have even either collapsed or are no longer maintained, such as the RHOI and Digital@rchive sites, or the personal research page for the Copes resource. The factor that does seem to determine dissemination practice is the intended use group. Established researchers in academic institutions are offered the opportunity for paid membership-based access to the palaeoanthropological collections available on NESPOS or EVAN; in the case of the latter the subscription to the service is offered as either personal or institutional, in exactly the same manner as an academic journal. Despite the lack of explicit licensing available on the non-membership pages, it seems clear that the scans offered through these sites (and those that can be purchased on the Virtual Anthropology Web Shop) are treated as proprietary, though with non-commercial reuse opportunities for academic purposes. In these cases, the researcher is paying for access to the scans. The second scenario for dissemination is more or less the exact opposite and is demonstrated by resources intended to function as archives. Morphosource most clearly serves this function, and despite not being exclusively devoted to DBD, it provides an archival function that is open to a very wide variety of researchers. The ADS resource, despite not having any DBD yet deposited, has a clear process by which data held by the archive are freely available to use with attribution, but not to sell. There is no doubt a result of the ADS being an archive first, rather than focused only on DBD; the data management and access processes were in place well before any data were added to the archive. The personal archive, the Copes resource, does not give any information on use policies or other access licensing; it may be that this was part of the lost archival pages, or it may be that consideration of use policies was itself a reason to shut down the archive. Certainly, the museums responsible for the curation of the collections included in the Copes resource do not provide this data; for instance, the Terry Collection, curated by the Smithsonian Institute, has only ‘flatsheet’ DBD online. The third category of dissemination strategies encompasses the wide variety of more or less singular solutions to individual needs. These seem to be tied to specific education, training, or engagement goals. For instance, the Digitised Diseases resource, which is intended to be a learning tool for forensic scientists, medics, and bioarchaeologists, offers downloadable 3D DBD but does not allow printing. Other museum or academic departmental educational resources offer viewable 3D models but no downloads. The resources most aimed at engagement, and in attracting public attention to a collection, are the many single examples of DBD available from different institutions on Morphosource and SketchFab which are not intended to serve as a research archive, eg. the Çatalhöyük or British Museum material. There is a very clear distinction here where DBD used for engagement uses open access, external, popular platforms for 3D data and resources with different aims largely rely on bespoke, individual platforms, with varying levels of access. It is evident that, although archival resources lead practice by having clear and explicit data management and use policies, the creation, curation, and dissemination of 3D models of human remains are highly variable. In part, this reflects the shift in availability of the technology and equipment to create Digital Bioarchaeological Data; data sets were limited, the prohibitive cost of 3D capture techniques like CT scanning. With the advent of fast acquisition, inexpensive surface scanning, the nature of databases has changed from limited-audience, research-focused resources to DBD presented on popular public platforms like SketchFab. It is for this reason that collections of 3D models of human remains have not benefited as much from the ongoing discussions about data standardisation that other aspects of data management have; the audience and purpose for these resources have changed over time, with some resources being completely abandoned and others repurposed. However, there is some evidence that this is actively changing, as evidenced by both the discussions elsewhere in this volume and by the specific language used by platforms such as Morphosource in addressing ownership, copyright, and reproduction/use permissions applying to both content publishers and users. While there may be issues arising from incomplete authorship data, concerns of ‘ownership’ of human remains, and the ethics of displaying 3D DBD more generally, Morphosource at least provides a clear indication that there are steps towards thoughtful and considered approaches in publishing DBD. With the increasing availability of 3D scanning technology, the curation and dissemination of DBD can no longer be said to be totally subject to academic or collections management authority. Open repositories of 3D models like SketchFab and Morphosource allow for the curation and dissemination of DBD created by any individual. Human remains displayed in a museum may as easily be displayed online, in perpetuity, without attribution, if captured through photogrammetry by an interested visitor. Indeed, there is a Kerma period burial displayed at the British Museum reproduced (with attribution) on SketchFab (Siddle 2017), which is locatable with the term ‘British Museum’ as are the officially sanctioned 3D models created by the museum team itself. This brief and non-exhaustive survey of the 3D DBD resources currently available demonstrates that there are simply too many uses and too many audiences attached to DBD for a single standardised programme of curation, creation, and dissemination to be practical. It is clear that the intended use community and the purpose of the resource will drive both the curatorial aspects of data management (the method of storage and choice of storage/publication platform) and the dissemination policy that determines who accesses what data. This is not to say that we cannot work towards a best practice of publishing online 3D DBD. There are clearly cases where resources have outlived their use, just as there are cases where resources are in a very nascent stage of development. As we move forward with the digital technologies that allow us to communicate both research data and important parts of our cultural heritage, we will need to consider very carefully the pitfalls, but also the potential, of making 3D DBD available online. The author gratefully acknowledges the participants of the WAC 8 Digital Bioarchaeological Ethics workshop for their contributions to discussion and dialogue that helped to shape the direction of the final publication. 3D Slicer. https://www.slicer.org/. Accessed 5 Mar 2018. Ancient Lives. London: British Museum Exhibition. http://www.britishmuseum.org/whats_on/exhibitions/ancient_lives,_new_discoveries/ancient_lives.aspx. Accessed 5 Mar 2018. Anthro: 3D Scans. Wellesley College Research and Instructional Support. http://academics.wellesley.edu/ris/anth207x/3Dscans.html. Accessed 5 Mar 2018. Archaeology Data Service. http://archaeologydataservice.ac.uk/. Accessed 5 Mar 2018. Copes, L. E. (2012). CT Scans of Human Skulls. https://www.lynncopes.com/human-ct-scans.html. Accessed 5 Mar 2018. Digital Imaging and Communications in Medicine. DICOM Standard. Medical Imaging and Technology Alliance. https://www.dicomstandard.org/current/. Accessed 5 Mar 2018. Digitised Diseases. http://www.digitiseddiseases.org/alpha/. Accessed 5 Mar 2018. Haddow, S. (2014). Çatalhöyük Neolithic multiple burial. SketchFab. https://sketchfab.com/sdhaddow. Accessed 5 Mar 2018. Human Evolution Evidence: 3D Collection. Smithsonian Institute. http://humanorigins.si.edu/evidence/3d-collection. Accessed 5 Mar 2018. ImageJ. National Institutes of Health. https://imagej.nih.gov/ij/index.html. Accessed 5 Mar 2018. Institute of Vertebrate Paleontology and Paleoanthropology site/specimen database. http://mdata.ivpp.ac.cn:8080/ivppweb/enspecimensearch/. Accessed 5 Mar 2018. McHenry, K., & Bajcsy, P. (2008). An overview of 3D data content, file formats and viewers. National Center for Supercomputing Applications. http://isda.ncsa.illinois.edu/drupal/sites/default/files/NCSA-ISDA-2008-002.pdf. Accessed 5 Mar 2018. Morphosource. Duke University. https://www.morphosource.org/. Accessed 5 Mar 2018. NESPOS. NESPOS Society. http://5.9.66.74:8090/display/openspace/Home. Accessed 5 Mar 2018. NTS Archaeology. (2016). Skull from the Battle of Culloden. SketchFab. https://sketchfab.com/nts-archaeology/models. Accessed 5 Mar 2018. Online Research Scan Archive. University of Pennsylvania Museum. https://www.penn.museum/sites/orsa/Welcome.html. Accessed 5 Mar 2018. Palaeoanthropology Portal Database Links. Palaeonathropology Portal. http://paleoanthportal.org/DatabaseLinks.php. Accessed 5 Mar 2018. Payne, A. (2009). Laser scanning for archaeology: A guide to good practice. In K. Niven (Ed. ), Archaeology data service/digital antiquity. http://guides.archaeologydataservice.ac.uk/g2gp/LaserScan_Toc. Accessed 5 Mar 2018. Pett, D. (2016). British Museum. The Jericho Skull. SketchFab. https://sketchfab.com/models/bdcf4843e0964da2931aa7ab1fc1b99d. Accessed 5 Mar 2018. Revealing Human Origins Initiative (RHOI) Specimen Database. http://herc.berkeley.edu/rhoi/_rhoi_specimen_db.php. Accessed 5 Mar 2018. Rising Star. Morphosource. https://www.morphosource.org/Detail/ProjectDetail/Show/project_id/124. Accessed 5 Mar 2018. Siddle, N. (2017). Kerma culture burial (~ 2050–1750 BC). https://sketchfab.com/models/4e02811d415943d39715c131acb387a7. Accessed 5 Mar 2018. Smithsonian Institute. Smithsonian Digitization 3D. https://3d.si.edu/. Accessed 5 Mar 2018. The Digital Archaeological Resource (tDAR). Digital Antiquity. https://www.tdar.org/. Accessed 5 Mar 2018. Trognitz, M., Niven, K., & Gilissen, V. (2016). 3D models in archaeology: A guide to good practice. Guides to good practice. Archaeology data service/digital antiquity. Guides to good practice. http://guides.archaeologydataservice.ac.uk/g2gp/3d_Toc. Accessed 5 Mar 2018. Ulguim, P. Bones and burials. Sketchfab. https://sketchfab.com/priscillaulguim/collections/bones-burials?cursor=24. Accessed 5 Mar 2018. UNESCO. Fundamental principles of digitization of documentary heritage. http://www.unesco.org/new/fileadmin/MULTIMEDIA/HQ/CI/CI/pdf/mow/digitization_guidelines_for_web.pdf. Accessed 5 Mar 2018. Various. Rising Star Expedition. National Geographic Blogs. National Geographic Society. https://blog.nationalgeographic.org/tag/rising-star-expedition/. Accessed 5 Mar 2018. Virtual Anthropology. Virtual Anthropology. http://www.virtual-anthropology.com/. Accessed 5 Mar 2018.